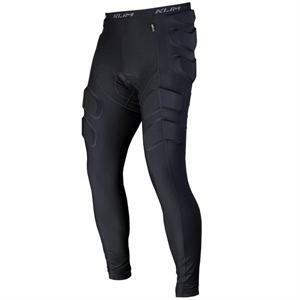 The KLIM Tactical pant offers the same padded comfort and coverage of the popular KLIM Tactical Short in a full-length riding pant. Now, you can combine a padded comfort short and your lower body base layer into one piece designed to wick moisture away and facilitate maximum breathability. The saddle area features a high-tech triple-density chamois that absorbs riding impacts in the saddle and prolongs the comfort of your ride. PORON® XRD® Extreme Impact Protection material is embedded in strategic locations to help absorb impacts on your legs, hips and more. You want one pant that does it all? The Tactical pant is it.